Easter 2019 | Baker's Perfection, Inc. TRUFFLE - A rich flourless chocolate confection dessert that is topped with old world ganache. 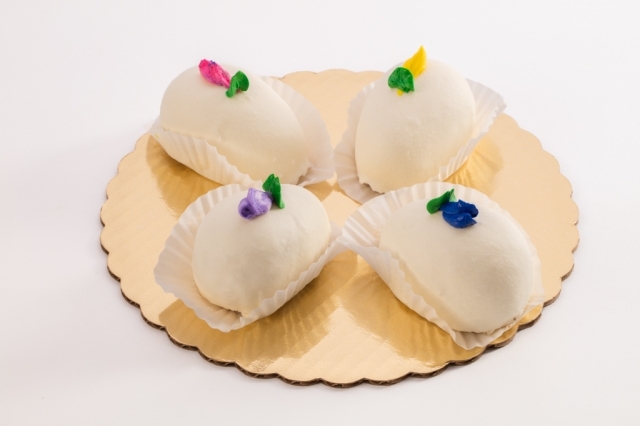 VANILLA EASTER EGGS INDIVIDUAL -These individual dessert eggs are made of vanilla cake and are enrobed in vanilla icing. CHOCOLATE EASTER EGGS INDIVIDUAL- These individual dessert eggs are made of chocolate cake and are enrobed in chocolate ganache icing. EASTER SQUARES- Individual squares made of chocolate cake and chocolate mousse that are enrobed in chocolate ganache. This favorite is finished off with a sugar bunny face. LARGE VANILLA EGG- A large vanilla egg filled with strawberry preserves and whipped cream. 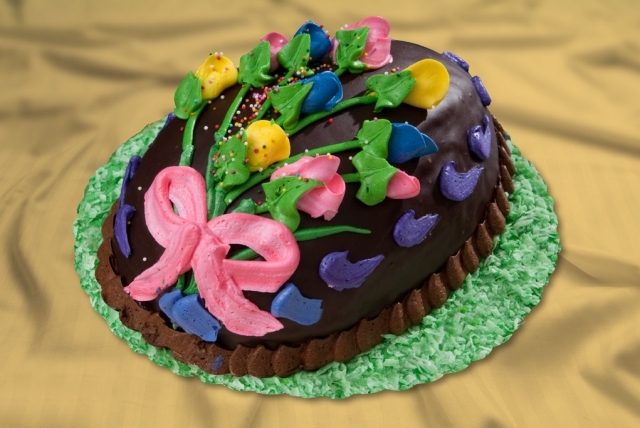 This delight is topped with vanilla icing and spring colors. LARGE CHOCOLATE EGG- A large chocolate egg filled with chocolate mousse and dipped in chocolate ganache icing. A chocolate lovers dream at Easter. 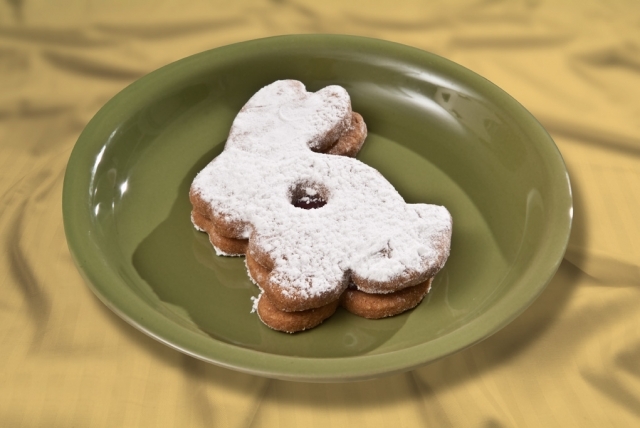 LINZER BUNNY- A 4inch individual linzer tart cookie shaped as a bunny. Butter cookie topped with pink, yellow, green and white sprinkles. Tulip shaped butter cookie topped with purple, pink and yellow sugar. 2.5 LB. ASSORTED EASTER COOKIE TRAY. EASTER ASSORTED CUPCAKES- Chocolate and vanilla cupcakes topped with chocolate fudge icing and butter cream icing and spring colored sprinkles.